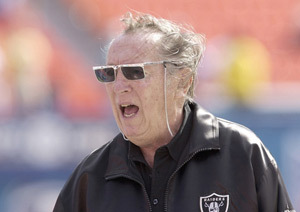 Allen "Al" Davis was an American football executive. He was the principal owner of the Oakland Raiders of the National Football League from 1970 to 2011. His motto for the team was "Just win, baby." He had a God-given killer instinct.